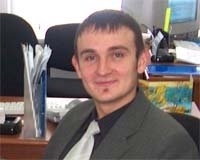 The UBSC Financial/Business Planning Consultant, Mr. Vladimir Zavedia, has a proven track record in financial planning, financial analysis and business planning (Ungheni Free Economic Zone’s Business Plan, a range of large food-processing factories). In this capacity he has made numerous investment plans that have successfully been submitted to local Financing Institutions for funding. His sector experience in this area covers a wide range of service and industrial fields, at the forefront, food-processing, construction and retail trade. Within the UBSC Mr. Zavedia is the key expert for managing the Center’s Business Development Program. 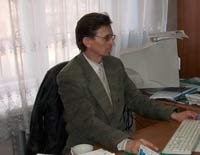 Currently he’s a part-time trainer within the framework of IREX Project training program in Ungheni. Languages - Romanian, Russian. Within the UBSC, Mr. Dorin Budeanu is the key expert in Information Systems Management with excellent IT and database management skills. 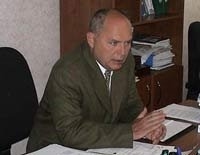 His track-record includes provision of expertise in agricultural information systems and ecological farming. His professional experience in this field is wide-ranging and includes the Web designs, organization of individual agricultural trade fairs, the development of IT-based agricultural information databases and the publication of agricultural information bulletins. He has also closely worked together with foreign experts in designing and implementing targeted ecological farming promotion activities. 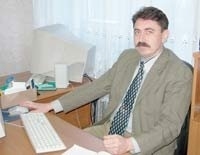 He is responsible for the UBSC’s Computer Centre operation and relevant services. Recently, he has graduated the post-university education in Intellectual Property Management. Languages - Romanian, Russian. Mr. Cristian Jardan, the UBSC’s PR Manager, who has received a sound field education in Romania and has a broad experience in public and marketing areas, is currently involved in representative activities of IREX project in the region and has been assigned with the PR responsibilities with the EU/IBPP project. Languages - Romanian, Russian, English (fluent). As a trainer/consultant, Mr. Vitalie Dobos provided an extensive added value to the elaboration and adaptation of various training programs for the would-be entrepreneurs. As such, he has been the key trainer/ consultant for an USAID-funded private sector development program in Ungheni, which aimed at promoting self-employment and business generation. Recently, Mr. Dobos has significantly contributed to the elaboration of the Ungheni Free Economic Zone Guide and is currently successfully delivering interlinked services to start-up entrepreneurs. Languages - Romanian, Russian. As the accountant of UBSC and Enterprise House, Ms. Valentina Stratulat not only manages the reporting systems but has also developed a training course on accounting standards and systems for BI tenants, start-up SMEs and local accountants. 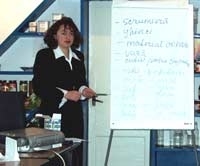 Ms. Stratulat is widely recognized as an expert on accounting procedures having been the Head of the Ungheni Regional Accounting department within the Prefecture. As the Office Manager of our organization, Ms. Dana Tsugulea is responsible for all communication and filing systems and client record procedures within the UBSC. Ms.Tsugulea also provides payable language training courses on an ad-hoc basis. Currently, she’s accomplishing the 2nd higher education at the Academy of Economic Sciences. Languages - Romanian, Russian, German (fluent), English (fluent). © Copyright CSBU 2007. All rights reserved.